The Grand Alumni Socity includes alumni who graduated 50 or more years ago. 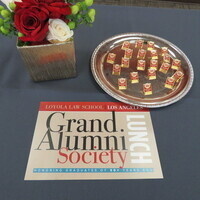 During the lunch, the class of 1968 will be inducted into the society receiving a commemorative pin. I am very enjoyed for this blog. It's an informative topic.